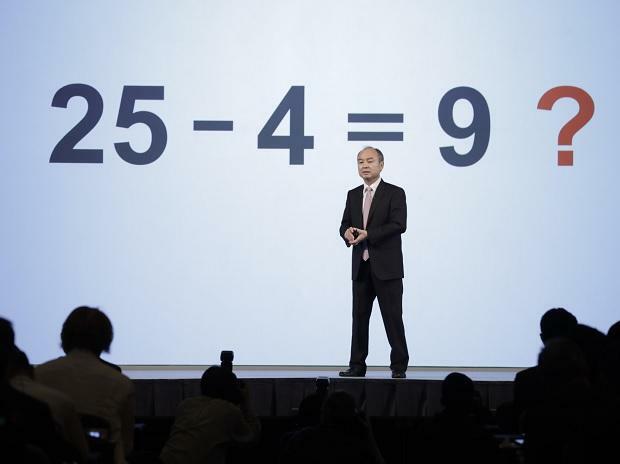 The founder of SoftBank Group Corp added about 1.94 trillion yen ($17.6 billion) to the market value of his company Thursday — by unveiling a plan to buy back shares worth less than a third of that amount. Based on his own stake, Son's net worth rose by about $5 billion. 1) How big is the buyback? 2) How is he paying for this? With money from mom-and-pop investors in Japan. The buyback will be funded by the proceeds from the 2.4 trillion yen initial public offering of the company's telecom unit in December, which was marketed to individuals. 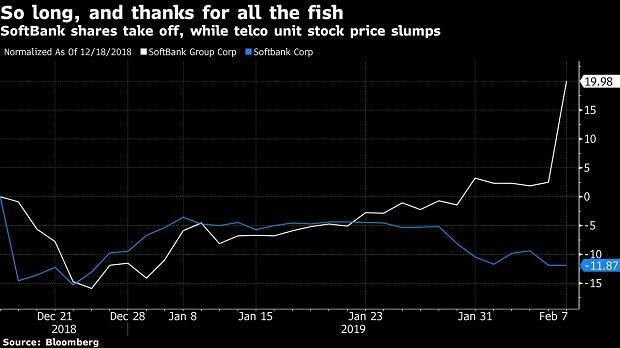 While SoftBank Group's shares have gained 36 per cent this year, the telecommunications unit is trading 13 per cent below its IPO price of 1,500 yen. 3) How much is SoftBank Group worth? According to Son, 21 trillion yen net of debt. That includes a 12.5 trillion yen stake in Alibaba Group Holding Ltd, 2.4 trillion yen telecoms unit, 2.6 trillion yen US carrier Sprint Corp, 2.7 trillion yen each in the Vision Fund and chipmaker Arm Holdings Plc, and 600 billion yen in Yahoo Japan Corp. SoftBank's market cap was closing in on 11 trillion yen on Thursday. 4) What could help close the gap? Most of SoftBank's assets are in mature companies like Alibaba, Sprint and Yahoo Japan. That's why Son has been focusing more on the $100 billion Vision Fund and its portfolio of private companies that includes the world's biggest ride-hailing company Uber Technologies Inc and co-working giant WeWork Cos. Thanks to valuation gains, profits from the Vision Fund and SoftBank's own Delta Fund more than tripled to 176 billion yen in the quarter ended December 31. The Vision Fund has emerged as a major contributor to earnings over the past year. While the returns can be difficult to predict, Son has promised several exits annually. This year, investors could look forward to a windfall from the planned listings of Slack Technologies Inc and Uber.